TAPEBOOK – Space focused on technology, new media and artistic research. 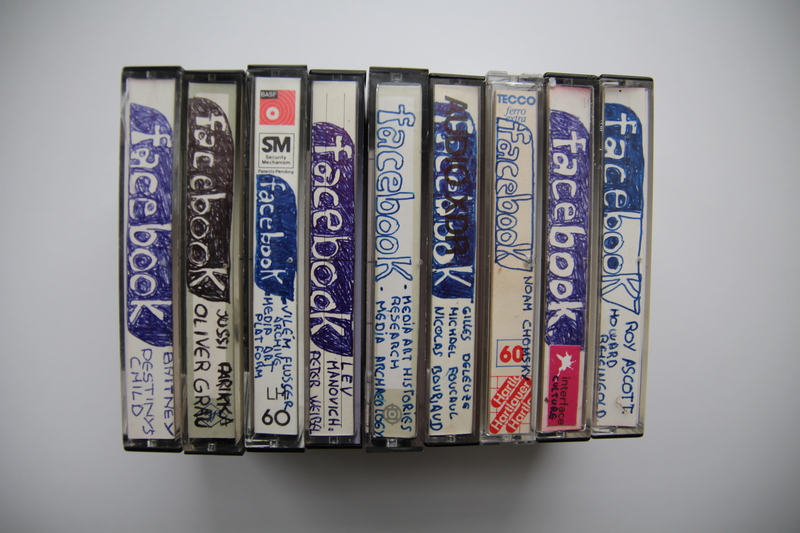 “Tapebook”is an exercise in media archaeology. It involves the conversion of data which are extracted from social networks into audio documents. 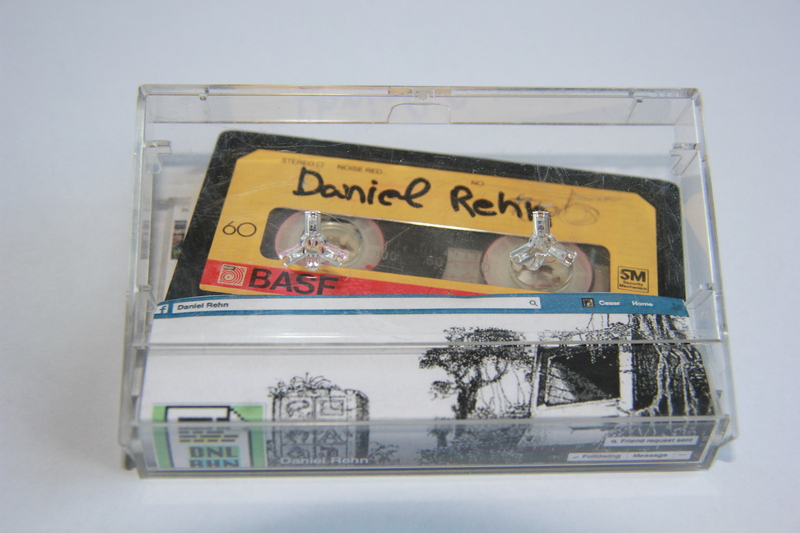 They are recorded on cassettes. “Tapebook” takes the information directly from the GUI, alters the rhizomatic (root-likes) structure of the hypertext and converts it into linear sequence of sounds. The user is able to select and listen to recordings made from the text of philosophers, artists and writers who talk about media art in their profiles. 2019. * Aksioma, Critical Tiggers, (Slovenia). 2017. * EAC, Espacio de Arte Contemporaneo. Sobreexposición, Curated by Juan José Santos, Montevideo (Uruguay). 2016. * ROME MEDIA ART FESTIVAL 2016. MAXXI-Museo Nazionale delle Arti del XXI Secolo, Rome (Italy). 2015. * LAB_30, Media Festival, Kulturhaus abraxas, Klang Kunst Experimente, Augsburg (Germany). 2015. * WRO,2015 16th Media Art Biennale, TEST EXPOSURE Wroclaw (Poland). 2015. * GalleriaPiu, Disconform, curated By Vincenzo Estremo. Bologna (Italy). 2014. * ARS ELECTRONICA 2014, Interface Cultures, 10years, Linz, (Austria). 2014. * BB15, Inhabited Interface, Interface Culture. Linz (Austria). Juan Martin Prada University of Cádiz, Spain. This project arose from talks between Martín Nadal and César Escudero. – Clift N. Anthony (Profile). – Daniel G. Andújar (Profile). – David Garcia Torres (Profile). – El arte en la Edad del silicio (Page). – Eva and Franco Mattes aka 0100101110101101.ORG (Page). – Eugenio Tisselli Vélez (Profile). – Felipe Rivas San Martín (Profile). – IC art&design – sharing inspiring (Group). – Juan Martin Prada (Profile). – Kaja Cxzy Andersen (Profile). – Luther Blissett & Friends (Page). – Marcel-li Antunez Roca (Page). – Master Artes Visuales y Multimedia (Group). – Media Art Culture (Group). – Media Art Platform (Group). – Media Art Histories RESEARCH (Group). – Media Arts Education (Group). – MoBen Maurice Benayoun (Profile). – Monika Fleischmann & Wolfgang Strauss (Profile). – Net Art & Literature (Group). – Post Media Art (Group). – The creators Project (Page). – The MIT Press (Page). – The Yes Men (Profile).